2017 Commissioned by Walt and Irene Deboni, The Calgary Philharmonic Orchestra, and James Scott with financial assistance from the Alberta Foundation for the Arts. The work was premiered by the CPO (Rune Bergmann, cond.) at Jack Singer Concert Hall, Calgary, Alberta, Canada on 28 September 2018. The Sandman’s Domain was inspired by Neil Gaiman’s award-winning comic book series “The Sandman”. His ability to create highly imaginative worlds full of colourful characters was legendary and his narratives unfolded like hallucinatory dreams. When the Calgary Philharmonic Orchestra proposed I write a new concerto for their principal trombonist, James Scott, I felt this was the ideal theme to explore. The trombone is a bold instrument capable of capturing a wide range of emotions: from tender lyricism to dramatic heroism. 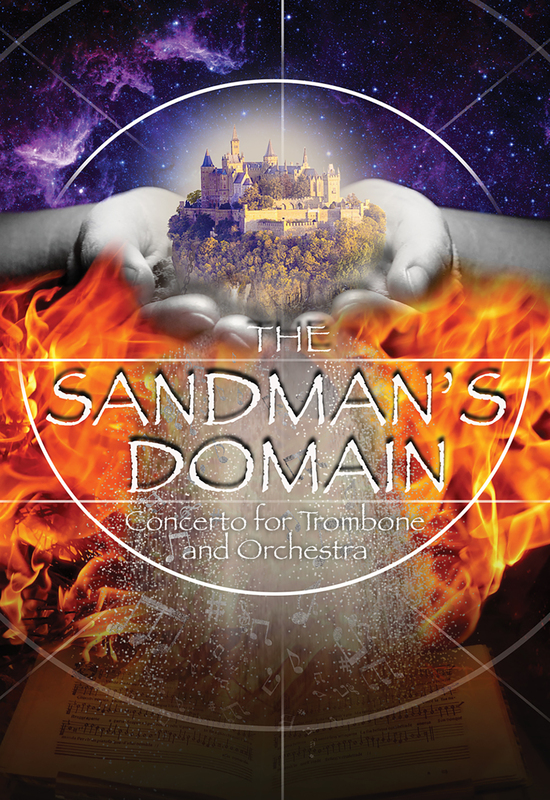 I thought it would be an exciting concept to have the soloist assigned the role of the mystical Sandman and take the audience onto a wondrous journey into his domain. While rereading my entire collection of the series, I was inspired to create my own Gaiman-esque narrative for the concerto, one that would be experienced as an unbroken dream-like journey in musical form (see movements above ). Rather than provide any in-depth description of this narrative, I leave you (the audience) with only the inner-movement titles so you may conjure your own imaginative interpretations as the music unfolds.